Not only is it a gorgeous piece of jewelry, this necklace is an exact replica of the one Rosalie wears in Twilight: Breaking Dawn Part 1! 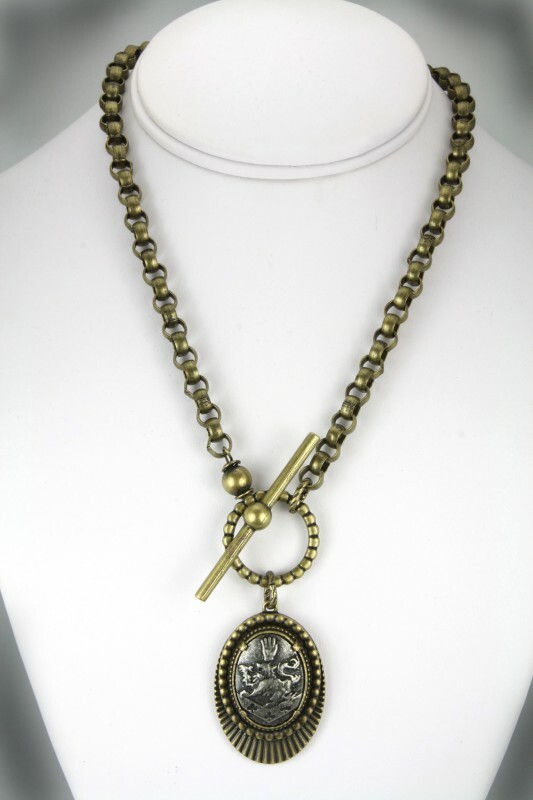 The Cullen crest is engraved on the antiqued pendant, which hangs from a 16″ chain with front toggle closure. Its beauty is a perfect match for Rosalie’s own exquisite looks! Pendant is approximately 1.5″ long.